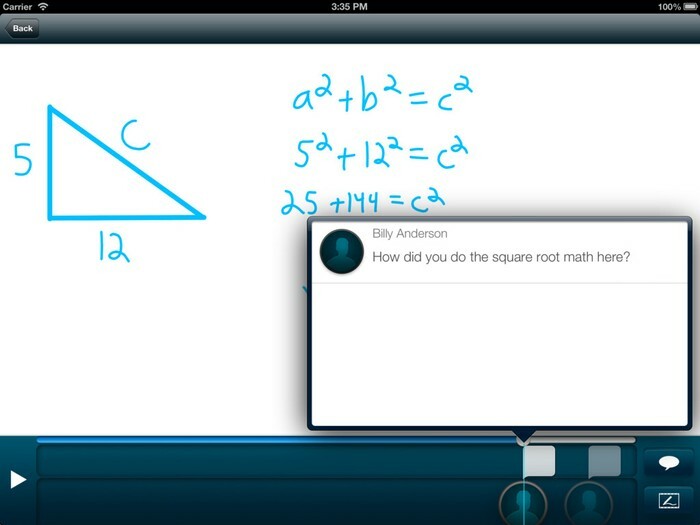 Ask3 allows teachers and students with iPads to easily share knowledge and collaborate via threaded, video conversations. By recording your voice, drawings, and images, Ask3 helps you create videos that can be shared directly to your class. 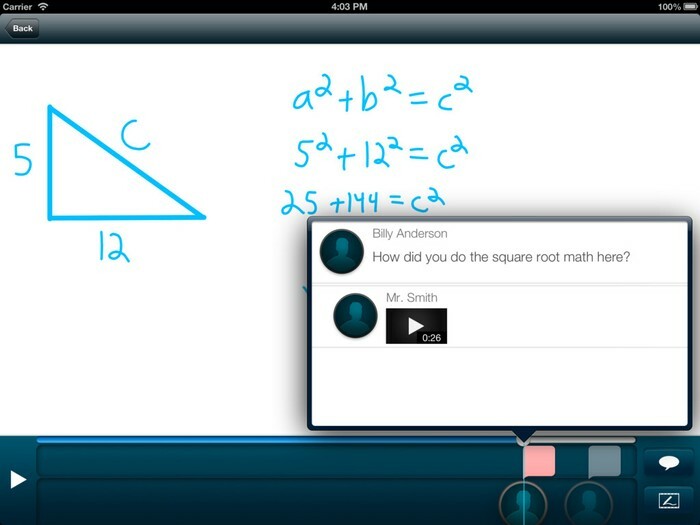 Students can watch the videos you create using Ask3 and can quickly ask and answer each other's questions. Students that use Ask3 have the unique ability to share their knowledge and questions through videos that can be viewed by the entire class. This open forum helps teachers understand what information their students know and don't know, which allows them to more easily fill knowledge gaps for their students. 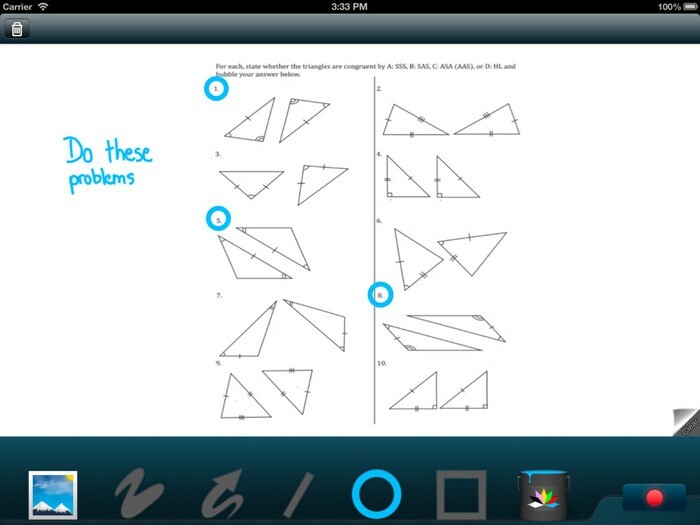 Step 1: Download the Ask3 app at the Apple store for your teacher iPad and your student iPads. Step 2: Open the app on your teacher iPad. 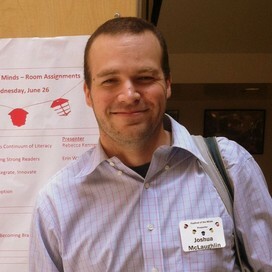 The app will ask you if you are a teacher or student. Hit the teacher button. Step 3: The app will ask you if you want to sign up or sign in. Hit the sign in button. Step 4: Sign up for your account by submitting your e-mail and creating a password. Then hit sign me up. Step 5: Now you are ready to create lessons using the whiteboard and record functions. Simply hit the create button to open the white board and get started. Step 6: Once you've created a lesson, it will be stored on the bulletin board portion of the app. Step 7: Now you are ready to share your lesson. 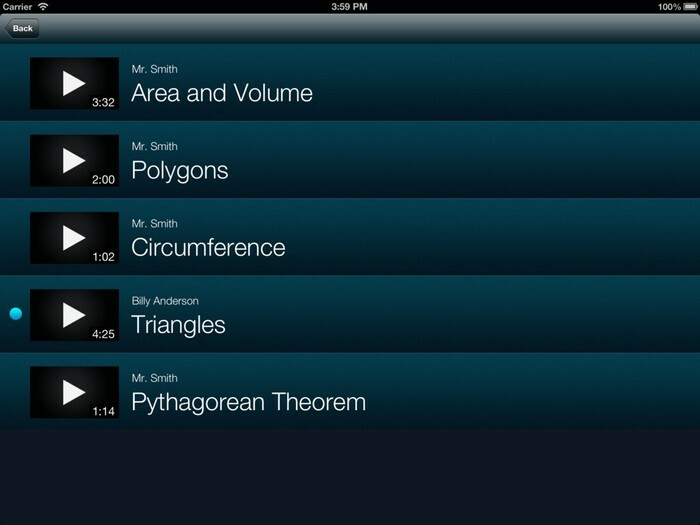 Your students will access your lesson by opening the Ask3 app on their iPads. The app will ask them if they are teachers or students. They should hit the student button. Step 8: They can now log in to your 'room' by submitting their name, a pin # (I always have my kids use 1111 to keep it easy) and your class code which you can find by hitting the class button on your app. Step 9: Once they have successfully logged in, the students can access the lessons you have shared on the bulletin board by hitting the bulletin board button. They then have the option of playing the recorded videos and then responding to those video either in writing or with a recorded video of their own thinking. Step 10: Once students respond, all the students can read or view their work by clicking on the silhouette icons that show up at the bottom of the original lesson video.